The cupcakes I made for the wedding. I'll post what they looked liked at the wedding tomorrow. I recently did a cake and cupcakes for a wedding. 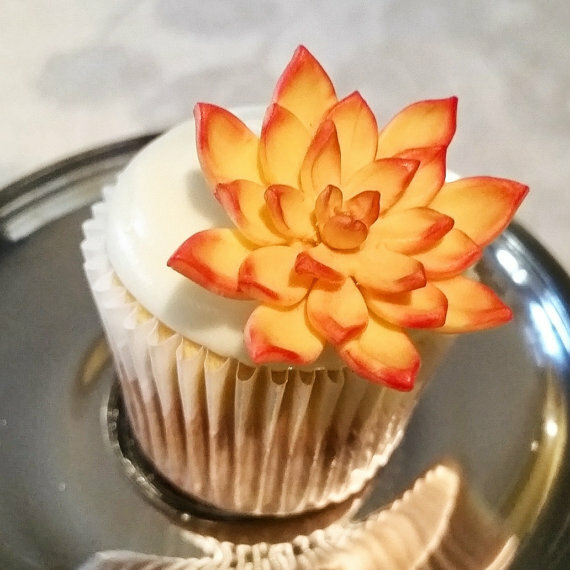 The theme was fall/rustic and she wanted the cupcakes and cake to have her wedding colors. I prefer to not have dyed frosting and I searched Etsy for some ideas. I came across these and instead of trying to make them, we just ordered them instead, and I just want to tell you how much I love them!! I ordered them from this store on Etsy called Nicolettsy. These are made with gumpaste and are absolutely adorable! Look at how adorable they are!! I think cake decorating has come a long way since my Grandma's rosettes! 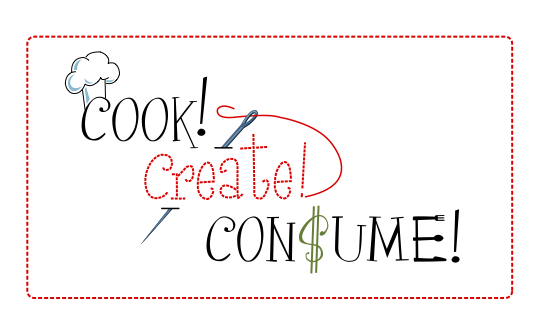 There are so many cool things out there you can use now!! 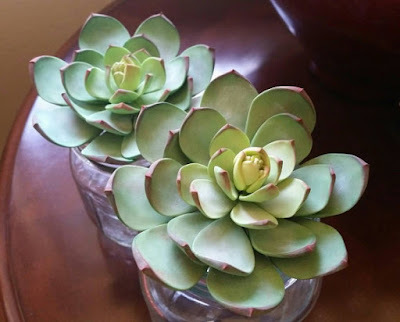 Here are a few more from her Etsy store... She has succulents in her store right now and they are amazing! Here are a few other cupcake/cake toppers from Etsy that I love with their store links below the picture. 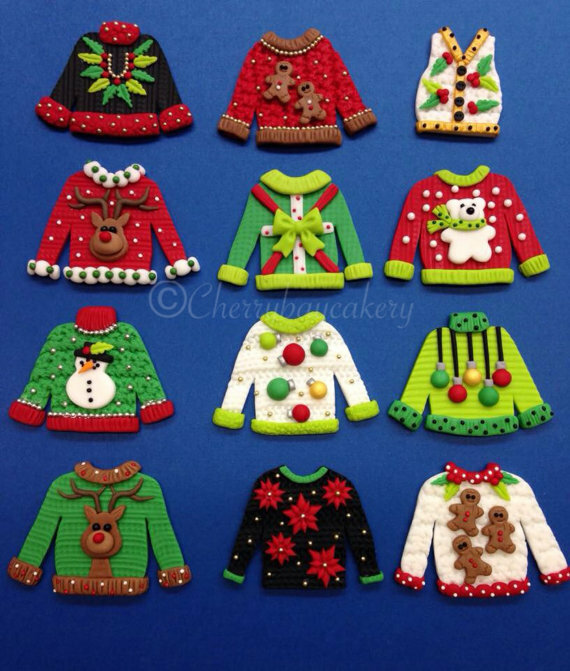 And you know I love these fondant Christmas sweaters from HERE! 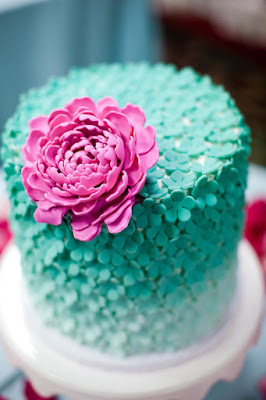 And how gorgeous is this cake from HERE?? Such an easy way to take your cakes and cupcakes to the next level if you are willing to spend a little more money. I love that there are so many gorgeous options! 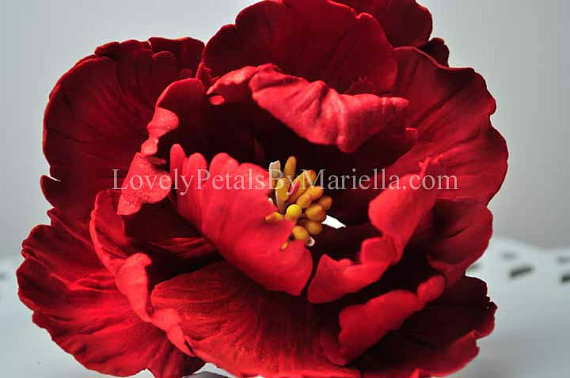 I put learning how to make these flowers on my bucket list!